Positive & Reward based methods only. Call to learn more. All animals deserve compassionate training and care. Call today. 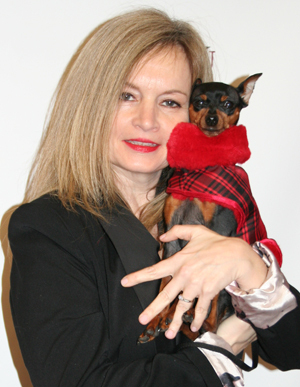 LPH is a company that caters to the needs of dogs and their parents. Reaching the heart and soul of each and every dog, through a holistic approach of science based training, where care is personalized even for the most fearful or anxiety filled dog. LPH training methods are designed to get your dog to think and make conscious decisions by using positive & reward based training methods and creating that life long relationship of trust and mutual respect between dog parent and dog. The ideology is creating your journey of bliss for a lifetime, and training with your dog for your lifestyle. Call or send us an email today! Our team will respond as soon as they hang up the leash. Please learn more about our Grooming Services. We strive to provide complete care for our clients. Learn more about the dog services we provide. Hope Garlick is a Certified Pet Dog Trainer and a professional member of the Association of Pet Dog Trainers (APDT) an organization of individual dog trainers who are committed to becoming better trainers through education worldwide. She is also trained in pet CPR. "Hope is just an amazing person--so committed to what she does and loved how she constantly kept in touch while our Pug was at her training facility for 2 weeks!" "Took great care of my dog while we were away. Will definitely entrust them with my dog again when we go away." "Our two dogs had a wonderful time there. Would use them again!"